›LA Linen TCpop60x126-FuchsiaP49 Polyester Poplin Rectangular Tablecloth, Fuchsia - 60 x 126 in. 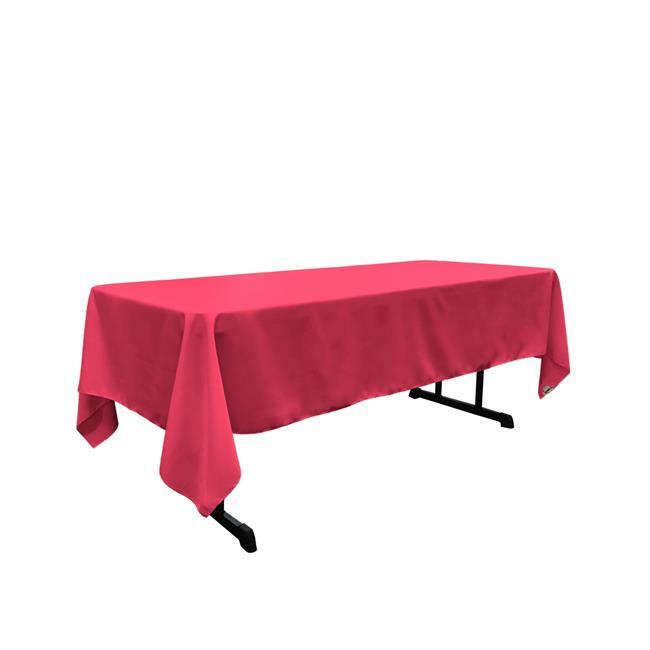 LA Linen TCpop60x126-FuchsiaP49 Polyester Poplin Rectangular Tablecloth, Fuchsia - 60 x 126 in. Our 60'' x 126'' tablecloth is one of the most popular sizes of table linen. This size can be used on a standard 6 ft. (30'' x 72''), or 8 ft. (30'' x 96'') banquet table. This tablecloth could also be used for many home dinning tables of the similar size. The cloth is made seamless in one piece, and the edges are serged for a clean look.